I write today on the analytic process I use in stepping through with clients their consideration of their decision whether (i) to OVDI or not to OVDI and (ii) if OVDI is chosen, whether to opt out. I assume a simple fact pattern (set forth below) to illustrate the process. My discussion does not deal with complex fact patterns. With more complex fact patterns, a similar analytic process can be used but the process must then deal with the complexities which make conclusions harder to draw. Whether complex or not, the analytic process is not for the faint-hearted or risk-averse or for clients who do not have experienced counsel to make the judgment calls required by the procss. Hence I write this blog principally to generate discussion among tax professionals who are readers of this blog. I caution readers who are not tax professionals to seek individualized help from tax professionals before implementing any strategy they think they may perceive in this blog. There are reports that major Indian American community groups are lobbying the Secretary of the Treasury to bring relief to Indian Americans caught in the vise of the tax and FBAR rules and the OVDI 2011. I link to some articles below. The Indian American U.S. taxpayer community seems to have been hit particularly hard because of a confluence of circumstances - including, but not limited to, their industrious as recent U.S. immigrants, their willingness to save, their love of their native country and relatives in the native country, their lack of knowledge of the scope of U.S. tax filing and related FBAR filing obligation, and their general desire to play by the rules. Many in fact innocently underpaid their U.S. tax liabilities by not reporting relatively modest Indian accounts and failing to file the FBARs, yet feel that they inappropriately being punished disproportionately to their conduct by having to pay the 25% in lieu of penalty inside OVDI 2011. Having met with a number of these and having read still others' comments on the blogs, I do think that the IRS is being a bit harsh. Perhaps the safety valve will be the opt out, provided that it is administered reasonably to make the punishment fit the crime. Indian Americans seek relief from US tax rules for foreign accounts (The Times of India | U.S. Canada News 7/28/11). Joseph Septimus, Indian-American Community Seeks Relief From Draconian FBAR Penalties (Yeshiva World 7/29/11). Reuters reports that there is little appetite in the Swiss Government to help Credit Suisse avoid the U.S. juggernaut the way it assisted UBS by authorizing turnover of information and documents on U.S. depositors. The report also says that "The [U.S.] investigation against Credit Suisse has also prompted Swiss private banks Bank Sarasin and Julius Baer to ban staff from travelling to the United States." Bank Sarasin spokesman is quoted as saying: "It's about protection. So the bank and its employees will be protected from investigations and arrests." Reuters Report: Credit Suisse unlikely to get help over U.S tax probe (Reuters 7/24/11). “The very serious allegations against Credit Suisse relate to a wider range of conduct extending beyond a tax conspiracy into a broader range of criminal activity,” Michel of the Washington firm Caplin & Drysdale told swissinfo.ch. “These are not just allegations that a Swiss bank opened accounts that they knew would not be reported to the IRS [Internal Revenue Service], there are also allegations that employees of the bank lied to the Federal Reserve, engaged in destruction of records, helped people try and evade DOJ [Department of Justice] investigation and provided unlicensed banking services to customers,” the lawyer representing some 30 Credit Suisse clients said. In United States v. Bradley, ___ F.3d ___, 2011 U.S. App. LEXIS 13260 (11th Cir. 13260), a decision of considerable length (195 pages), the Court addressed inter alia, venue in a case involving an FBAR violation. In a nutshell, the FBAR form permits filing at the Detroit Service Center or any IRS office. There is no special venue provision for FBAR charges, so the general rule applies which makes venue in any district where the crime was committed. Since the filer could file in any district, does that make his or her failure to file a crime that occurred in any district, giving the Government choice of any venue? Without deciding whether that sweeping opportunity for venue choice was available to the Government at its whim, the Court sustained venue for the FBAR charges based on the district court's inquiry into the convenience of that district for trial of the charges, even though the defendant resided elsewhere. Count 284 alleged that Bradley III failed to disclose an interest in a foreign financial account while committing mail fraud, wire fraud, and money laundering, in violation of 31 U.S.C. §§ 5314 and 5322(b). Section 5314 authorizes the Secretary of the Treasury to require a taxpayer to keep records and file reports "when th[at] resident, citizen, or person makes a transaction or maintains a relation for any person with a foreign financial institution." 31 U.S.C. § 5314(a). The Secretary has exercised that authority by requiring all persons subject to the jurisdiction of the United States to disclose whether he or she has "an interest in, or a signature or other authority over, a bank, securities or other financial account in a foreign country." 31 C.F.R. § 103.24(a). If a person owns such an account, he is obligated by 31 C.F.R. § 103.24 to file Form 90-22.1 with "the Commission of the Internal Revenue." That form instructs the person that the filing may be accomplished "by mailing this report to the Department of the Treasury . . . or by hand-carrying it to any local office of the Internal Revenue Service for forwarding to the Department of the Treasury" in Detroit, Michigan. 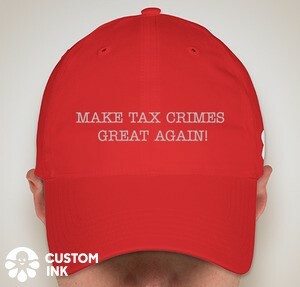 Tax crimes fans know the critical role that acceptance of responsibility plays in the tax enforcement system. A very high number of criminal tax indictments are resolved by plea agreement. The plea agreement has two salutary effects based on acceptance of responsibility. First, S.G. 3E1.1 gives a reduction for acceptance of responsibility. Second, acceptance of responsibility, when credible, puts the sentencing judge in the right frame for the exercise of Booker discretion. Acceptance of responsibility requires that the defendant admit at least the criminal conduct related to the offense of conviction. This can be a delicate exercise if, in the course of providing a full admission of the offense of conviction, the defendant must disclose information that could potentially convict him or her of another as yet uncharged crime. Perhaps the most commonly encountered situation is with regards to relevant conduct which, as readers will recall, is uncharged criminal conduct related to the offense(s) of conviction. Relevant conduct, a key concept in the Guidelines, can be used to increase the Guidelines range but does not allow incarceration beyond that allowed by the offense(s) of conviction. For example, in tax cases, tax losses in years other than the year(s) of conviction can increase the base offense level and thus increase the Guidelines range. While the defendant must be forthcoming to the Probation Office and the Court about the conduct underlying the offense of conviction, what about the relevant conduct? Must the defendant be forthcoming and admit relevant conduct which, after all, is conduct for which he is not convicted? Here is the press release from USAO WD MO for the conviction of Dr. Leslie Robert MacLaren, an optometrist. The press release is short; I recommend it for some light reading. Dr. MacLaren was convicted of five counts of evasion (hiding assets and the whole nine yards) and two counts of bankruptcy fraud. Even after being investigated, he took various steps to interfere and then filed an income tax return claiming $40 million in deductions. The press release says that the jury deliberated for a little over an hour. So, that's seven felony counts in a little over an hour. Perhaps about 10 minutes per count, but less than that to actually consider each count because they had to do some predicate business. Certainly not the record for the shortest deliberations. Criminal Charges surfaced today for more offshore bank account enablers. The first involves Credit Suisse and the second involves UBS. The original indictment named only Adami, Agustoni, Bergantino and Schaerer. (I discussed the original indictment in a prior blog, More enablers indicted (2/23/11).) The superseding indictment is 47 pages long. According to my prior blog, the International Bank identified in the original indictment was Credit Suisse. Presumably that is the case with the superseding indictment as well. (b) Other crimes, wrongs, or acts. Evidence of other crimes, wrongs, or acts is not admissible to prove the character of a person in order to show action in conformity therewith. It may, however, be admissible for other purposes, such as proof of motive, opportunity, intent, preparation, plan, knowledge, identity, or absence of mistake or accident, provided that upon request by the accused, the prosecution in a criminal case shall provide reasonable notice in advance of trial, or during trial if the court excuses pretrial notice on good cause shown, of the general nature of any such evidence it intends to introduce at trial. HSBC Holdings PLC is moving to mollify federal authorities investigating how the banking industry has helped U.S. clients evade taxes. The global banking giant is cutting ties with wealthy American clients who bank offshore, as U.S. prosecutors turn up the heat on the bank to produce information about account holders who may be evading taxes, people familiar with the matter say. A spokeswoman said the global banking giant will "no longer offer wealth-management services to U.S. resident private clients from locations outside the U.S.," and that American clients "will be better served by our private banking teams in the United States." At issue are hundreds of clients with accounts totaling as much as $100 million, said a person familiar with the situation. U.S. clients need roughly $5 million in assets to qualify for an HSBC private-client account, another person familiar with the situation said. Rumors previously circulated that the Swiss Government and the U.S. were negotiating to reach their own version of the "grand bargain" over Swiss skullduggery in secret bank accounts for U.S. depositors. See U.S. Swiss Negotiations for Multi-Bank Settlement on Swiss Bank Enabled U.S. Tax Evasion (6/11/11). Now the rumors are that U.S. terminated the negotiations. (One could have speculated as much from the announcement that the U.S. is stepping up its investigation of Credit Suisse. See DOJ Investigating Credit Suisse (7/15/11) . 1. "Citing unnamed banking sources, the Tages-Anzeiger daily said that negotiations between Switzerland and the United States had stalled because the U.S. Department of Justice was not particularly interested in a deal." On February 18, 2009, FINMA, the Swiss Financial Market Supervisory Authority, ordered that the data of 255 UBS customers be disclosed to the US Department of Justice. In its public deliberation of July 15, 2011, the Swiss Federal Supreme Court ruled that FINMA’s actions were lawful. In doing so, it reversed the ruling handed down by the Swiss Federal Administrative Court and upheld FINMA’s order. FINMA ordered that the data of 255 UBS customers be disclosed to the US Department of Justice as a protective measure pursuant to articles 25 and 26 of the Banking Act. In doing so, it proceeded on the assumption that if this data hadn’t been disclosed, the US Department of Justice would have filed an indictment against UBS, which would arguably have caused the bank’s ruin and consequently have had serious repercussions for the Swiss economy. Guilt: By Plea Agreement - failure to file FBAR (maximum incarceration 5 years). Tax Loss: Not specified in the press release. FBAR Penalty: $1,552,606.50 (50% of highest amount (which readers will recall is standard for plea deals). The USAO ED NY press release is here. I will try to get the court documents and supplement this information and the spreadsheet later. I will also probably post links to other news reports or comments. As previously disclosed, Credit Suisse has been responding to requests for information, including subpoenas, in an investigation by the US Department of Justice (DoJ) and other US authorities. The investigation concerns historical Private Banking services provided on a cross-border basis to US persons. As part of this process, on July 14, 2011, Credit Suisse received a letter notifying it that it is a target of the DoJ investigation. It has been reported that the US authorities are conducting a broader industry inquiry. Subject to our Swiss legal obligations, we will continue to cooperate with the US authorities in an effort to resolve these matters. Readers -- at least readers other than those solely interested in foreign financial account stuff -- will surely remember the infamous criminal case involving KPMG related defendants. The case became a cause celebre in the white collar crime arena because 13 defendants were dismissed because of the Government's prosecutorial abuse in forcing KPMG to withdraw attorney fee support for those 13 defendants. One of the remaining defendants and two others were convicted in the much skinnied down criminal trial. The judge imposed a fine of $6,000,000 when the statutory maximum fine for the counts of conviction was $3,000,000. Larson paid the fine. Larson and the others convicted also appealed their convictions. Larson also complained about the fine. The Second Circuit sustained the convictions but, in a separate opinion, vacated the fine with remand to set the fine correctly. United States v. Pfaff, 619 F.3d 172 (2d Cir. 2010). Although Larson is incarcerated, I suspect he surely relished the prospect of getting $3,000,000 back. The IRM requires that IRS revenue agents discontinue or suspend their audit after receiving firm indications of fraud. Proceeding beyond that point create the risk that the taxpayer will be mislead as to the nature of the investigation (civil or criminal) and result in the taxpayer not being aware that he or she should consider asserting his or her constitutional rights. See generally IRM 25.1.2. Thus, where the continued audit by the agent results in obtaining incriminating statements from the taxpayer, the taxpayer will cry foul in any resulting criminal prosecution in which the Government attempts to use those confessions. Those taxpayer claims are usually, but not always, unsuccessful unless the taxpayer can show that the agent's continued efforts were based upon some bad faith by affirmative misrepresentation as to the nature of the continued investigation. The high water mark in terms of sanctions for such affirmative misrepresentations was United States v. Tweel, 550 F.2d 297 (5th Cir. 1977) where a tax indictment was dismissed because the civil agent’s actions misled the taxpayer as to the criminal nature of the investigation. Since Tweel, the courts have applied the dismissal remedy -- more usually a suppression remedy which might result in dismissal -- sparingly (really almost never), requiring some express misrepresentation (rarely found) rather than just a joint civil and criminal use of the fruits of the audit. See e.g., United States v. Rutherford, 555 F.3d 190 (6th Cir. 2009). The answer, as you might suspect, is yes. • Provide complete and accurate amended federal income tax returns (for individuals, Form 1040X, or original Form 1040 if delinquent) for all tax years covered by the voluntary disclosure, with applicable schedules detailing the amount and type of previously unreported income from the account or entity (e.g., Schedule B for interest and dividends, Schedule D for capital gains and losses, Schedule E for income from partnerships, S corporations, estates or trusts). ZURICH -(Dow Jones)- The Swiss government Wednesday adopted standards on banking secrecy laid out by the Organization for Economic Cooperation and Development, or OECD, which will allow foreign authorities to pursue citizens suspected of using hidden Swiss accounts for tax evasion, and no longer only for outright tax fraud. - In spring 2009, the Federal Council took the decision to adopt in future the international standards set out in Article 26 of the OECD Model Convention with respect to administrative assistance in tax matters. According to this, international administrative assistance should be possible not only in the case of tax fraud but also in the case of tax evasion and for tax assessment. The implementation of this decision requires appropriate wording in the double taxation agreements, or DTAs, with other countries. Up to now, over thirty DTAs have been adapted or renegotiated. Execution of administrative assistance must ensue under national law. To this end, the Tax Administrative Assistance Act is to be introduced.